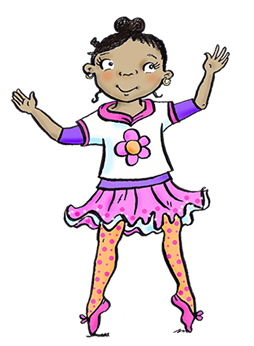 Meet some of the people and things in Twinklesteps' World. 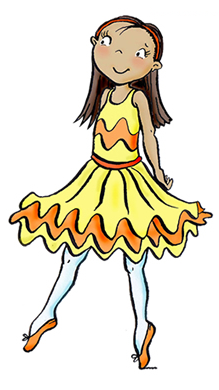 Twinklesteps is a little girl, who's also a fairy! 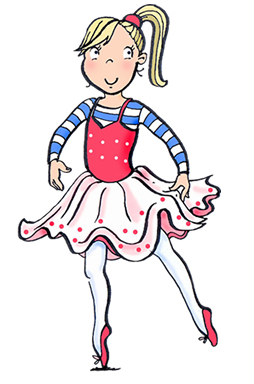 She loves dancing and when she points her toes her shoes light up and sparkle. She practises her ballet every day. She also loves adventures, solving problems and making new friends. She is naturally curious, bold and sometimes a bit cheeky! 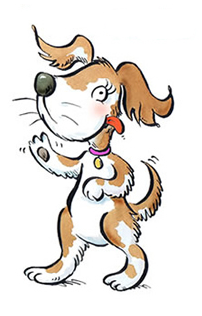 Jett is her friend and often joins her on her adventures. He loves dancing too and gymnastics. 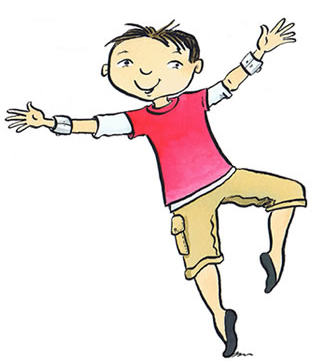 He flies with the aid of his special wrist bands. He is strong, enjoys a joke and is always ready for action. She's a happy and outgoing little girl, who always seems to be smiling. She has a good heart and a fun and colourful dress sense. She loves to play practical jokes and although she always means well she can get carried away at times! She's quieter than Aurora and tends to worry about things. 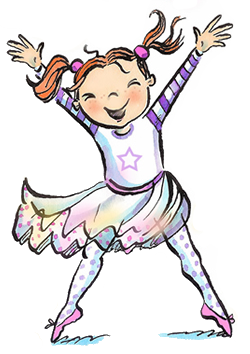 She is clever and although she lacks confidence, with the encouragement of her friends she can shine through and solve problems! She is cool and laid back but fiercely loyal and will always defend her friends even if she has to draw on her hidden fiery nature! She is witty and often finds things funny that others don't. 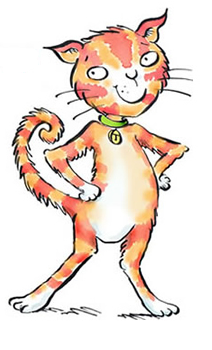 Tango is Twinklesteps' feisty, male cat. He is clever and independent, which sometimes gets him into trouble! Samba is Twinklesteps' cuddly female dog. She is friendly, lively and loyal and she's always ready to play. Tango and Samba are friends and love Twinklesteps very much. 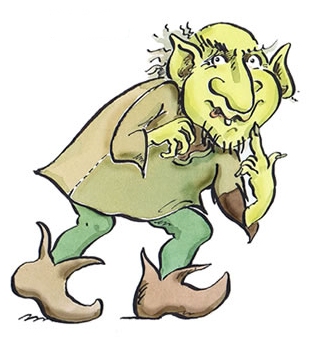 The Growling Goblin is no friend to Twinklesteps, Jett or anyone for that matter! He lives in a little cottage in the hills and grumbles and growls about everything. He always seems to be in a bad mood and is usually trying to stop everyone from having fun. for use in wet weather but not in really heavy rain. Glow in the dark wings. Useful for night flying! 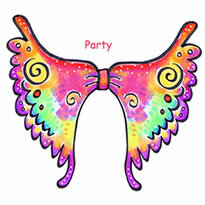 Fancy wings for special occasions. Patterned and shaped like butterfly wings. Pink, sparkly wings because pink is Twinklesteps' favourite colour! 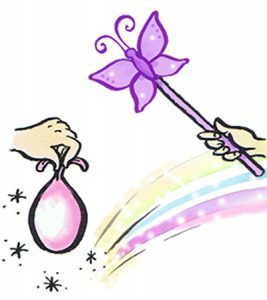 Of course, being a fairy, Twinklesteps has a wand and little pouch of fairy dust to boost her magic when she needs to! She even has a butterfly wand to match her butterfly wings.